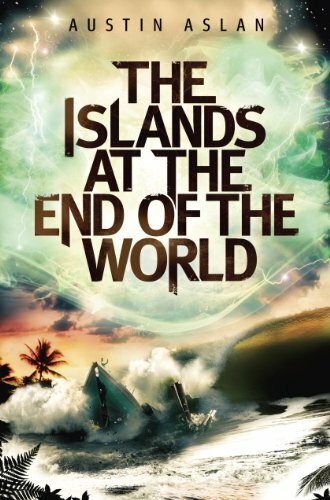 Austin Aslan’s The Islands at the End of the World is getting great reviews. In this fast-paced survival story set in Hawaii, electronics fail worldwide, the islands become completely isolated, and a strange starscape fills the sky. Leilani and her father embark on a nightmare odyssey from Oahu to their home on the Big Island. Leilani’s epilepsy holds a clue to the disaster, if only they can survive as the islands revert to earlier ways. Watch Austin’s blog for a reveal of book two’s cover–reportedly very awesome! Teaser! Mary: Austin, thanks so much for the interview. It is an honor to be able to talk to authors of books I really enjoy reading. Your The Islands at the End of the World is such a book. I wouldn’t even know how to describe this book without spoiling it. I was telling my husband about the book and remarked that if I had written this particular story and pitched it to a publisher, they might say, “Whoa!” Yet, you pull this novel off beautifully, and the book has been reviewed very well. Can you attempt to just summarize the book for potential readers? I’ll leave the spoilage barometer up to you. Austin: Hi, Mary! Thanks for inviting me onto your blog. I’m excited to be here. 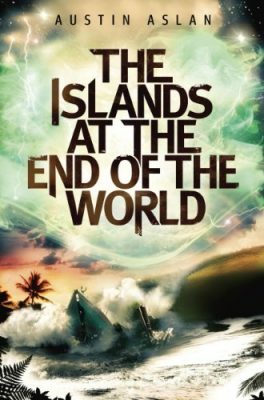 The Islands at the End of the World is a young adult disaster/survival novel with science-fiction elements. The story involves a catastrophic global blackout, but it takes place entirely on the Hawaiian Islands. It’s about a 16 year-old girl named Leilani who is half white, half Hawaiian. She lives on the Big Island but she and her father are on the island of Oahu when the global blackout happens. The islands are suddenly thrust into darkness and isolation. No one knows what’s going on. As days without electricity, without airplane travel, and without food/gas shipments turn to weeks, tensions grow, hunger sets in, and the situation on the islands becomes desperate and violent. Lei and her dad set off on their own to get home to the Big Island by any means necessary. A lot of crazy things happen in this book, and there are some cool science-fiction things going on, too, but this novel is really about a strong father/daughter relationship that’s strained to the limits on a dangerous journey to get back home to family. Mary: Lei is an admirable character. She, like Katniss in the Hunger Games, is a modern YA/teen heroine. Yet, she is also an underdog of sorts, not particularly wealthy, healthy, or popular. She becomes admirable for real reasons. She has to overcome quite a lot of strife, including epilepsy and having been bullied–not to mention the tragedy unfolding in your novel, in Hawaii. How did you decide to make Lei the way she is? How important do you think a novel like this is, marketed to the young adult and teen audience (but definitely enjoyable by all ages)? Austin: One of the very first decisions I had to make before I started typing this story was whether I wanted my main character to be a boy or a girl. The choice was easy for me. I have a daughter who was seven at the time, and it was easy for me to imagine her as a teenager. I could easily imagine myself as a father, feeling the burden of keeping her safe if we were in the situation of my book, having to hop islands to get home while society disintegrates. It was scary to think about. I also knew I wanted to write a YA novel, so the youth had to be the main character. Once I was convinced that my MC would be a girl, writing as her wasn’t that hard. I just channeled my daughter as best I could and assumed (for better and for worse, in some cases) that for all the ways we like to portray boys and girls as impossibly different, they’re actually pretty similar. I think it worked out just fine. I was fortunate to find a voice for Leilani quickly, and then I just stayed authentic to that voice throughout the book. When my agent and I were shopping the novel around, an editor at a major publishing house said that she was surprised to learn that I was a guy. I was very flattered by that, and took it as a good sign that I had effectively managed to pull off a girl MC! As for Lei being an epileptic, honestly, I just needed a reason for her and her dad to travel away from the Big Island so the story could start. I quickly realized though that this wasn’t just a plot device. It became an integral part of her character and helped me to understand what motivated her. Other things fell into place, too, but Lei’s disability was immediate inseparable from who she was. The awesomest thing about it, though, is it doesn’t “define” her. It’s just part of her. It informs her and it informs us, but she takes it pretty much in stride. Mary: Lei and her father (Mike) differ in some ways. He is a scientist but also believes in God. Lei finds comfort not in the Christian religion but in Hawaii’s background and Polynesian mythology. By the way, it’s refreshing that of course the tolerance between father and daughter happens unconditionally, despite their different perspectives–which is something we should all strive for. The stories of the old gods and goddesses are close to nature and close to Lei’s heart. I am curious about whether you grew up in, or live in, Hawaii, and how you would describe these mythologies as they relate to the story you created. 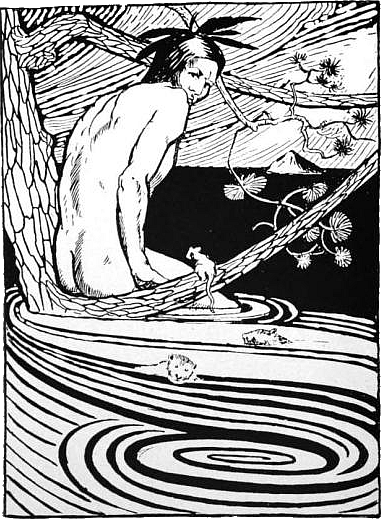 Also, about early mythologies, not necessarily just Hawaii’s: they are so close to and nature and the elements–it seems that the further away we move from these narratives, the closer we get to technology and the lesser we appreciate/respect nature. I think your book lays that out. Do you have any further ideas on this? Austin: My favorite Hawaiian myth is the one that explains the sequential creation of each island in terms of Pele’s effort to flee her jealous sisters. The Hawaiian Islands were formed by volcanic activity. As the earth’s tectonic plates shifted over the top of a fixed “hot spot” deeper down in the planet’s core, magma punched through the crust and formed mounds that eventually poked above the ocean surface and became islands. Each island down the chain is younger than the previous, so that Kaua`i, for example, is much older and more eroded than O`ahu, and so on down the chain. The Big Island is the youngest island, has the least erosion, and still has active volcanic activity even today. It’s still growing! Pele’s story follows this pattern perfectly. She first arrived on the northwestern-most islands, punched her o`o, her shovel, into the ground, and attempted to set up a home. But each time she did this, her jealous sister would fling the sea at her and snuff out her volcanic home and she would have to flee to a new island to start over. It’s a great creation story that mirrors our scientific understanding of the islands’ origins very well, and it’s also a great symbol for Leilani’s struggle to get home and to feel that she belongs. Mary: One of the repeated motifs in your book was the idea that big things can come in small packages, or that they come in whispers rather than bangs. I found myself really enjoying the thought of this–as it’s so true. Can you tell us more about your thoughts on this particular idea? Austin: You’re right, this story pits the small against the big in so many different ways. I’m glad that comes off the page in the ways you’ve mentioned. I think those things speak for themselves, though. I think I’ll pivot and reflect on how the very nature of this story embues that motif. This novel is first person point-of-view, present tense. It’s told in a very small, tight, myopic way. For a story with so many big ideas, it would have been very easy to get lost in geo-politics and science fiction tropes and the struggles of a cast of dozens of characters. I very easily could have succumbed to the temptation to try and pull off some Hawaiian version of Stephen King’s The Stand. But it wasn’t necessary to the success of the tale. Lei is infinitely interesting on her own. The islands themselves really held me in check. There is so much of interest happening right in front of Leilani and her dad that I couldn’t afford to get bogged down with all that other stuff. The setting itself—the Hawaiian Islands—are so profoundly material and sensuous and concrete that in spite of my own instinct to write a story about sustainability and the dangers of nuclear materials and how great the mysteries of the universe are, the raw, material power of Hawaii kept pushing up through all of it and pushing me out of the way. If you’ve ever stepped foot on the Hawaiian Islands, you know what I’m talking about. That place assaults the five senses like no other place on earth. It made my job as a storyteller SO simple. Anyway, I think that, above so many other things I did right with writing this novel, the biggest reason this book works is because I kept it as small as I could. Mary: I agree. I have visited the islands at the “end of the world”, and they are among my favorite places on Earth. Can you talk about the turtles some? Maybe how they go so far to lay eggs, and return each cycle? I just found it so fascinating! Austin: You’re referring to one of my favorite passages in the book. This was partly inspired by an essay I once remember having read online, an essay that expressed wonder about an aspect of sea turtle evolution. I channeled that memory of the short essay into my story when it was still just a fun writing project I had going on the side of my master’s degree studies. I had no memory or recollection of who wrote the essay (in fact, I’m pretty sure I had seen it in a second- or third-generation reposting somewhere on the web), but I was finally able to track it down. It was Dr. Daniel C. Dennett who inspired me with his description of turtle evolution over unimaginable epochs of time. I took this idea to a new scale, and turned it on its head a little bit, but Dr. Dennett and I have corresponded briefly and he was pleased to learn of how the idea was put to good use. Mary: (Yes, folks, read the book!) Hopefully without revealing too much about the story, I’ll try to go more into the storyline. So, something is happening in Hawaii, and presumably around the world. Whatever is happening, it’s not good. The suspense and pacing are really great. I think the reader will have trouble putting the book down. Electricity, networks, satellite coverage–all these things are dying or being inconsistent. Simultaneously, a green aura appears in the sky. Nobody knows what it is. The only one who even begins to understand it is Lei (plus maybe a couple others, but that is only hearsay). What results in this lack of reliable energy is a breakdown of society. We see it at a micro-level but presume it happens all over the world in the story. There is warfare, hoarding, desperation, needless murder, military and/or local rogues trying to create order by their own standards. My question here is, do you think this would happen if a sudden lack of energy befell our world? Austin: I do. We have become so reliant on certain technologies, basic and advanced, that their sudden loss would be catastrophic to the normal functioning of society. We can’t even responsibly process a half-dozen people entering the United States having tested positive for the Ebola virus. How long do you think it would take for the more unstable forces in our communities to run Henny Penny into the street and self-fulfill a falling sky? Though, to be clear, I don’t think the conditions of your question will ever actually be met. I think that a “sudden lack of energy” befalling our world is highly unlikely. Loss of technology and the power with which to run it is much more likely to be a slow, gradual process that we don’t even realize we’re adapting to, if it happens at all. Mary: Your references to Army of Darkness show quite a sense of humor. I laughed out loud when coming upon the quotes. But the whole story is really quite humorous despite the serious subject matter. The humor speaks our language, relates to us well, but also really helps digest the potential moral and environmental and technological dilemmas happening. I find this a better approach than trying to stand above audiences and preaching to them about the damage we’re doing to the environment. I wondered, in coming up with this notion, what your personal reasons were for including environmental themes in your story. The novel is a good story, first and foremost. How much of the novel is a literary effort to creatively craft a story compared to being a catalyst for an environmental message? Austin: When I set out to write Islands, I thought to myself, “Everybody knows what happens at the end of the world in New York and LA, but what would a global disaster mean for Islanders?” 95% of Hawaii’s food is imported every day. Ninety-five percent! The islands are home to 1.5 million people. If things got tough there, what would they eat? Where would they flee? I lived in Hilo (pronounced HEE-lo), on the Big Island, when I was getting my masters degree in Tropical Conservation Biology. My field sites were high up on the forested slopes of Mauna Loa Volcano. I was coming home from a rainy day of doing pollination experiments with rare Hawaiian flowers, and I drove down through the clouds and suddenly had a great, clear view of the ocean surrounding the island. I was struck by how alone and isolated the Hawaiian Islands were (this is something that people in Hawaii think about frequently, and it wasn’t a new thought for me, either). The idea popped into my head that it would be really interesting to set a post-apocalyptic story on the isolated Hawaiian Islands, and the story and characters just started flowing out of me like lava! My masters program and my background in science helped me immensely in the writing of my book, mostly in terms of identifying the powerful themes of interdependency and sustainability, which undergird the entire story. While my background helped to steer the book in certain thematic directions, I didn’t allow the scientist in me to overpower the story that I was telling. I wanted to keep my training out of the way of the narrative that was unfolding as best I could. The quickest way to kill a good plot and deaden great characters is to start using them as bullhorns for specific agendas. My main character is a 16-year-old girl. It wouldn’t make sense for her to feel and sound like a scientist. I was able to use Leilani’s father (who is a professor of ecology at UH-Hilo) as my nearest proxy for letting my science background show through. However, I was still intentionally careful not to abuse that conduit. I’m lucky, because I think the general “scientist” can’t de-couple his/her training from their voice, and that’s why there are so few successful scientist-novelists. I hope I can be one. Mary: You are writing a sequel to this story. Can you tell us more about it, and when it is expected? Girl is different from book one in a number of crucial ways. The difficult geography of Hawai`i, the sense of separation, the urgency to get home—these are all powerful, compelling story elements that come together to make Islands wholly unique. Developing a fresh, exciting sequel to such a singular story was quite a challenge. With Girl, I wasn’t interested in trying to repeat the feel of Islands out of some unspoken sense of obligation to match what I had already done. I wanted to engage in a new kind of storytelling and a new set of scenarios. The important thing is that I returned to the characters! I think I hit just the right mix of old and new with Girl. I guess I’ll reveal that book two is even more fantastical, in certain ways, than book one, but I don’t want to say too much more. It’s hard to talk about Girl without spoiling the end of Islands! I’ll just mention that Lei has to figure out what to do with the strange new abilities she’s developed. She has to adjust to a broken world and a new way of life. She does finally find romance, although grudgingly, as her situation remains very serious. She has some very difficult choices to make. As a teenage girl going though immense changes, Leilani isn’t just a girl at the center of the world in a figurative sense, mind you. She becomes the focus of global attention, and that sort of responsibility comes with a great deal of peril–and it attracts a number of really nasty enemies. Mary: Wow, I’m excited by a sequel and, no, have not seen the new cover yet. I’ll be hitting refresh on Thursday. Thanks for the terrific interview, Austin, and I hope this wonderful tale goes far. Great interview, Mary and Austin! I know Austin via Twitter, Facebook, etc. (we’ve even teamed up in a debut YA writers’ group), and I can tell you all that ISLANDS is fantastic!